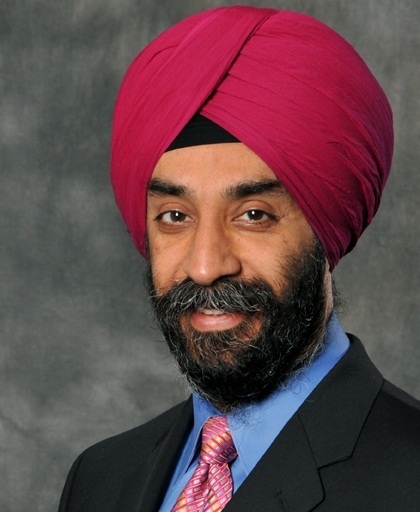 Prof. Mohanbir Sawhney is a McCormick Tribune Professor of Technology at the Kellogg School of Management. Prof. Sawhney is a globally recognized scholar, teacher, consultant and speaker in strategic marketing, innovation and new media. He has been widely recognized as a thought leader. Business Week named him as one of the 25 most influential people in e-Business. He is a Fellow of the World Economic Forum. Prof. Sawhney holds a Ph.D. in marketing from the Wharton School of the University of Pennsylvania; a Master’s degree in management from IIM Calcutta; and a Bachelor’s degree in Electrical Engineering from IIT Delhi. Professor Sawhney, you wrote about the concept of different waves of innovation in your recent article in The Hindu. Could you explain the concept to the audience a little bit? There are really waves of innovation transfer and globalization. In essence, these waves revolve around the cross geographical propagation of innovation and the challenges and opportunities that arise as a consequence. If you think about how innovation has globalized over time, the first wave of innovation is the idea that the developed markets are the mecca of innovation. Each country evolved its unique capabilities – the Swiss did precision machinery, the Japanese did automotives and consumer electronics, the Koreans did steel and the US did high technology and software. The model here was that you built the products in your home country and then sold them around the world. This has changed now, while there is globalization in sales, there is also globalization of production, manufacturing and operating processes. As you get to the emerging markets you would have to de-feature, de-content and strip down your products because affordability is a constraint. The challenge here is that these products are not really designed with a cost structure or appropriate technology in mind for emerging markets. An interesting example of under-design is when the Japanese came to the Indian markets with LCVs (Light Commercial Vehicles) in the 1980s, they simply broke down on the Indian roads because in India, the trucks are overloaded to twice their capacity and run under tough operating conditions. So, localization and adaptation are some of the challenges of wave one of innovation. I think the epitome of wave one innovation is “Glocal Operations” where companies have global production along with localization – Nissan and Honda are some examples. While wave one was from developed markets to emerging markets, wave two is from emerging markets to emerging markets. This is when the emerging markets themselves became important and big enough in their own right for you to innovate from scratch for those markets. A great example is Hindustan Lever which over the past 50 years, has built and designed products that don’t exist anywhere else like Rin and Fair&Lovely. Nokia is another example – they have done a lot of local innovation like putting flashlights and radios on phones, multilingual support and building the ultra low cost phone. What key themes have you noticed in emerging market innovation and what is it that is now leading to the third wave? Wave three is the realization that is now dawning on these companies that the very constraints that were imposed upon innovation in the emerging market context are now producing some interesting opportunities. For example – Godrej in India has created a refrigerator called Chotu Cool – a compact refrigerator that costs about $ 10 and does not use electricity. Now, if you look at the US market, how would you market that same product? As a camping refrigerator! The common themes that I find in the emerging market innovation are ultra affordability, durability owning to tough operating conditions and ecology and alternate power sources. But, just like you needed an adaptation and translation in the forward flow, you also need translation and adaptation in the reverse flow. So you need adaption so that the refrigerator that works in the Indian village also works at a camp in the US. Another example is about howthe portable ultrasound machine developed by GE for India and China for rural healthcare could also be used for disaster management in developed countries. And if you were to sell the Tata Nano in Western Europe, you’d have to beef it up with additional safety requirements, higher performance and some luxury features. The third wave of innovation is this enormous opportunity where Indian, Chinese and Brazilian companies can take the benefits of what they have created for the local markets and globalize it. Do you think this is a limited opportunity for India and other developing countries? You mentioned that for various countries, the innovation position had been moving across the globe, you think the same could happen to India and China? Clearly, the world is now one market place determined by the competitiveness of the innovation capacity and the cost factor – which is a function of multiple things including the availability of skilled scientific man power, the environment, infrastructure, government funding as well as the mindset and culture of entrepreneurship. The real question is to know which countries would be able to create the best ingredients for innovation including people, institutions for financing, government support, tax benefits, regulatory changes etc. It was therefore disappointing for me to note that in a recent study by the World Economic Forum, where they looked at the ease of starting a business and rated various countries, India was at a 138 amongst 150 countries. It is hence the job of the government to figure out as to how to create high quality man power and to ensure availability of quality infrastructure where currently India lags. Do you see a sense of urgency for this in India? There is a sense of urgency because there is a constant erosion of the competitive position of any country as costs keep rising. For example, the salaries in the ITES and BPO industries are going up, the attrition is high and at the same time the clients put pressure on the pricing. So, the only way to break through the commoditization or eroding the competitive advantage trap is to go for innovation. What we observe is that even though Indian companies are doing well, they tend to not go out of their comfort zone. Infosys, Wipro, TCS etc have multiple billion dollars as revenue and some of the brightest minds but they are still largely into the project mind set or people business and have really not gone into the product business. So, I am waiting for the next Google or Microsoft or Yahoo to emerge out of India. Our emphasis on building products and brands is still not where it needs to be. On that note, you spoke about the various waves of innovation that India is going through, which industries do you think are best poised to make use of that? One industry is what we call high value added manufacturing. For instance, in automotive components where India has built a phenomenal hub around Chennai where more than a dozen of world’s major OEMs have their operations. In fact many companies are actually now standardizing their global small car platforms and making India the global hub given the small car expertise and scale that India has. Similarly in the Pharmacy industry, globally the cost of doing clinical trials and R&D has really escalated and curtailed innovation. However, India has some stellar set ups like Dr. Reddy’s Labs, Ranbaxy and Cadilla. On the flip side, what India needs to stay away from is industries which are purely scale sensitive like LCD screens, batteries or toys and low value added or commodity industries. Because where there is purely a scale game, we can never beat China. Some of these industries that you mentioned, given the infrastructural climate we have in India and given the limitations, are there some tips which people have used successfully used in overcoming these challenges? Evidence suggests the geographical proximity of like-minded people or similar players creates a huge competitive advantage – a good example of this is the car industry in Chennai and the IT industry in Bangalore. Other success factors are investing in original product development and R&D as opposed to simply being the commercialization arm of a western company or investing in pure services and holding themselves to global, not domestic, standards of quality. The last question would be – for people who want to move back to India to start a business; do you think this is the right time? This is a great time! In a market that is growing so rapidly, the opportunities are immense. Despite all the entrepreneurial activities that go on in India, there are still some models that have been tried and tested in the US but have still not found deep penetration in India. For example: Groupon or Amazon. Flipkart is being called the Amazon for India but they have done some interesting adaptation like home delivery of products and also figured out creative ways for people to pay. So, one idea would be to take products and ideas that have found success here and do some cultural adaptation and transformation – a combination of the first and second wave of innovation. The other idea is to build products and services specifically for the Indian market from scratch. Where is Indian McDonalds for example? So there are a lot of opportunities in India – but you have to walk-in with zero arrogance. You have to accept that you as an entrepreneur don’t have all the answers. The India that you came from even five years ago is very different from India today as it is changing very quickly so you have to stay abreast with the dynamics and learn as you go along. Kunal Bahl is the co-founder and CEO of Snapdeal.com, India’s largest group-buying platform. Snapdeal was started in June 2008 by Kunal and his close friend, Rohit Bansal. 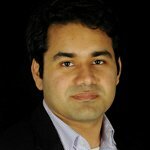 Kunal manages the strategic vision, key business relationships, fundraising and growth plans for Snapdeal. He has a degree in Manufacturing Systems Engineering from the University of Pennsylvania and a business degree from the Wharton School of Business, and attended the Executive Marketing program at the Kellogg School of Management. Kunal visited the Kellogg campus in mid-November and candidly spoke to us about his experiences, ranging from his desire to start his own business at a young age to future plans for the portal. It has been an exciting year for Snapdeal – in January this year they closed a $12 million investment round, led by Nexus Venture Partners and IndoUS Venture Partners and in July they raised $40 million from Bessemer Venture Partners. While couponing businesses have continued to spring up and be the subject of intense media scrutiny, Snapdeal has been successful in scaling up its business. The team is currently actively recruiting world-class candidates to join their Indian business. You started your entrepreneurship journey by starting a detergent company while still being a student. Please tell us a little more about that experience and your learnings. With respect to developing my professional career, I have long had the belief that I have nothing to lose and a lot to gain – this motivated me to take risks and start a business at a young age. During my final year of college in the US, I started a detergent business. The highly concentrated laundry detergent capsules produced from this business were eventually sold in 4,000 stores in the US, and went on to be featured in QVC (the US’s leading home shopping television platform), New York Times and The Oprah Book club. While considering different marketing strategies for this business, we issued a lot of coupons and allowed people to sample our products and this was my entry into the couponing business. Despite globally powerful US brand names on your resume you decided to go back to India. Could you tell us a little bit about what led to that decision and your experience to date? The answer to that question is pretty simple –while working for Microsoft, my H1B visa ran out and I had no other option but to relocate to India. While I was in the US, the Indian retail landscape had changed and we saw an opportunity to introduce couponing to the market. When we started Snapdeal, it was an offline couponing business, not an online one. In February 2010, we had the offline business running and we decided to test out an online portal. We had a website running in 8 days flat. Building a strong sales force appears to be a challenging, but yet critical aspect of local deal business. Can you share with us your experience in this regard? We have invested heavily in building the sales force side of the business, and now have more than 200 people, who are working on the ground and speaking with local merchants. Our sales staff typically consists of young sales talent with a lot of energy and perseverance whom we have been able to train very well. Can you throw some light on what you mean by ‘Mass customization’? The Indian consumer market is different from that of the typical Western market. Unlike western cities, Indian cities consist of hyper-local markets such that there are several different markets even within a certain city. Within large cities, customers will be unwilling to travel long distances. Hence, it becomes critical to customize the deals with respect to the specific location and preferences of the customer. Can you talk more about your plans for the business going forward? We already operate in 50 cities in India and internationally (Snapdeal has started in Sri Lanka, Nepal, Bangladesh, Maldives and Singapore) and as we scale we are expecting to move the company towards a broader retail-buying platform, without being restricted to couponing alone. We will continue to develop this general ecommerce platform for the Indian market and act as a marketing powerhouse for merchants and retailers. Any advice for students who are considering returning to India? I think this is a great time to go back to India, given the vast amount of opportunities that exist. In many ways, the Indian consumer market today is similar to that of the market in the US a decade ago and offers immense opportunity to those who are willing to go back and start a venture. Ravi Kuchimanchi is the founder of Association for India’s Development (AID), a chapter that was started with a motive to improve the standard of living of people in rural India. AID currently supports grassroots organizations in India and promotes sustainable, equitable and just development through active volunteering. Since AID was founded in 1991, Ravi has been instrumental in brainstorming and putting forth several ideas to help the underprivileged receive electricity, to create a livelihood for women thereby promoting women’s empowerment among other kinds of development. 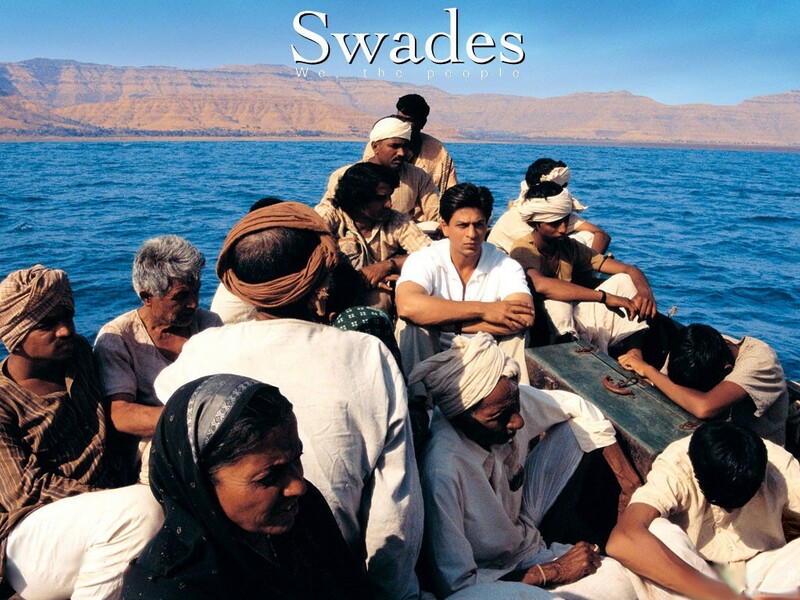 Ravi’s initiatives with the Narmada Bachao Andolan inspired the Bollywood film Swades (2005) that became a symbol for Non-Resident Indians interested in India’s development. AID today has matured into a volunteer movement for sustainable, holistic development with 50 chapters in USA, Australia and India. It brings highly skilled professionals such as the Non-Resident Indian community, to partner with the poor, and underprivileged so that there is a deeper understanding of causes beyond the mere symptoms of poverty. Ravi holds a B.Tech in Civil Engineering from the Indian Institute of Technology, Bombay and a PhD in Physics from the University of Maryland. He has published several papers in international physics journals including Physical Review Letters and obtained a US patent for a toy-puzzle that was featured by NY Times and several Television channels in USA. What inspired you to start worrying about the rural development in India and start the organization? When I founded AID in the year 1991, I was a graduate student at University of Maryland. I had a group of very closely knit friends, who also expressed interest in India’s development. Although we were graduate students in the States, we felt always felt that our minds went back to the causes of India and people of India. And each time there was a burning issue addressed in India, we wanted to do something for our country. There was always a discussion of what has to be done to improve the living conditions, but there was no proper channel by which the Indian community in the US could relate to the real India – “rural India”, where about 70% of the population lives. I sent out the first email to a group of friends in the year 1991 with the sole purpose of creating an active channel. The email was intended to raise funds for adopting a village in India, which doesn’t have a school, for example, and find a teacher and build a school to promote education in rural areas. Channelize the energy and interests of the NRI community raising funds/knowledge inputs/volunteering. In the first AID meeting, my friends and I realized there would be a big learning curve. Many of us did not come from the villages. I knew that we had to first visit various villages to learn and understand their practices and problems that they are facing, which could be specific to each village. Being a physics student, I had the understanding that something would either grow exponentially or come down exponentially. With the use of feedback, there is always room for improvement. In India, I realize problems are interconnected. So instead of just thinking about the problems, I came to a conclusion that solutions should also be interconnected. Success in one field would imply success in another field, which would in turn give a non-linear growth. Can you talk about the Swades connection? Mr. Ashutosh Gowrinker, the producer of “Swades” personally met up with me to discuss and understand the NRI perspective of returning back to India. At that time, I was involved in developing pedal power generator to light remote, off-the-grid village schools. The ongoing struggle against Sardar Sarovar dam in the Narmada River valley compelled me to pool AIDs resources with People’s School of Energy and emerged with the idea of a micro hydro project from a small 10 m waterfall to light up an entire Bilgaon village. Why the decision to leave a bright future, your passion in physics and how did that happen? There were many issues that required attention and I felt if I have to contribute effectively, both money and time is important. I did not leave everything; I still have my family with me. It’s just a country that I left, the world is connected, it doesn’t matter where you are, but the aim is to work for the humanity, work for sustainable and equitable development. There is a section of the world that is using a lot of resources and also violating the lives of underprivileged, while another section goes to bed hungry. It was actually a difficult decision to make. I am very passionate about science and physics; it was a hard decision to choose to work for humanity. Then I realized that there are many scientists in this world who were equally interested to contribute to the world of Physics. I wanted to make a difference and bigger impact. I also keep telling my other friends that while doing any profession, we should also spend time equally on meaningful things. We need to focus on causes that are environmentally friendly, look at yourself beyond your family. What are some of the new initiatives you are focusing on? We are involved in diverse issues facing the country. Our current priority is to fix the various agricultural crisis faced by farmers. A group of AID members have been working with farmers in rural India to train them on eco-friendly farming techniques and organic farming. After the Tsunamis that hit Tamil Nadu, a few have been part of the disaster recovery team that helped land reclamation in south-eastern coast of India. We have another group that is working to ensure all children of rural Tamil Nadu have access to basic education. In fact, in 2005, top priority for AID was our support to the NREGA (National Rural Employment Guarantee Act) and RTI. Apart from these, I am currently focusing on implementing scientific technology for rural development by way of electrification, water purification and drainage systems. As an example, last year we came up with the idea of using the traditional hay box, a low cost cooker made out straw, for Indian villages. .The “Easy Cooker” that is both made and sold in Indian villages, conserves about 50% less energy and creates livelihoods for bamboo artisans and women. It saves about 0.5 kg in carbon-di-oxide emissions per use compared to electric rice cooker. The hay box is not only a great initiative in the alternative energy area, but is also affordable to be owned by the household in rural India. Our aim is to pick up new areas, where new initiatives are absolute necessity and also continue working on already existing projects, by way of taking feedback from current performance and improvising in order to make it more effective and efficient. AID has had an enviable growth for any NGO, but do you think AID has been able to make an impact? No change is too small. In fact small changes have a cascading effect and lead to big changes. Some of these ideas are showcased and are actually being referred by the government for initiating new projects. Small models that are successful in one village get replicated in another village with similar facilities. Often times, solutions are also replicated. Eventually the hope is that the government will look at some of these successes and replicate it in a mass scale. What is Indian Government’s role in the development? We consider the government to be the biggest NGO, responsible to safeguard the lives of people. It is the government’s responsibility to make sure every Indian gets the basic amenities of life. NGOs are not meant to simply replicate what the government does and run another government parallel. Instead, the idea is to influence the democratic processes, by way of greater accountability and transparency. Models that succeed in various fields, would they be picked up? Or will you build something that will not really help the common people. This is the challenge to the government. In fact, governments are aware of the good work done by various NGOs and these are even referenced in some of the government initiated projects. Recently we have had our environment minister, Mr. Jairam Ramesh, who denied the entry of genetically modified crops into the country. It is very refreshing to see that he is very sensitive to environmental issues in the country. Glimmers of hope from people in power are very encouraging. How can someone reading this article get involved in AID? People who are interested in getting to know the specifics of the kind of projects we are involved in can visit our website http://aidindia.org/. There is opportunity to contribute to the association either monetarily or by volunteering. There are opportunities to volunteer both in the US as well as in India. One can join one of the several chapters across the world and participate in weekly meetings to discuss upcoming projects and plan fund raising. Phanindra Sama, “Phani” is the Co-Founder & CEO of redBus.in, India’s largest bus ticketing company. Founded in Aug. 2006, redBus today has operations across 22 states and offers services for ~19,000+ routes and has built relationships with about 700+ bus operators and 40,000+ travel agents. redBus is among Forbes India top 5 startups to watch in 2010. redBus is ranked no#1 among the fastest growing companies in India in a survey done by All World Network. 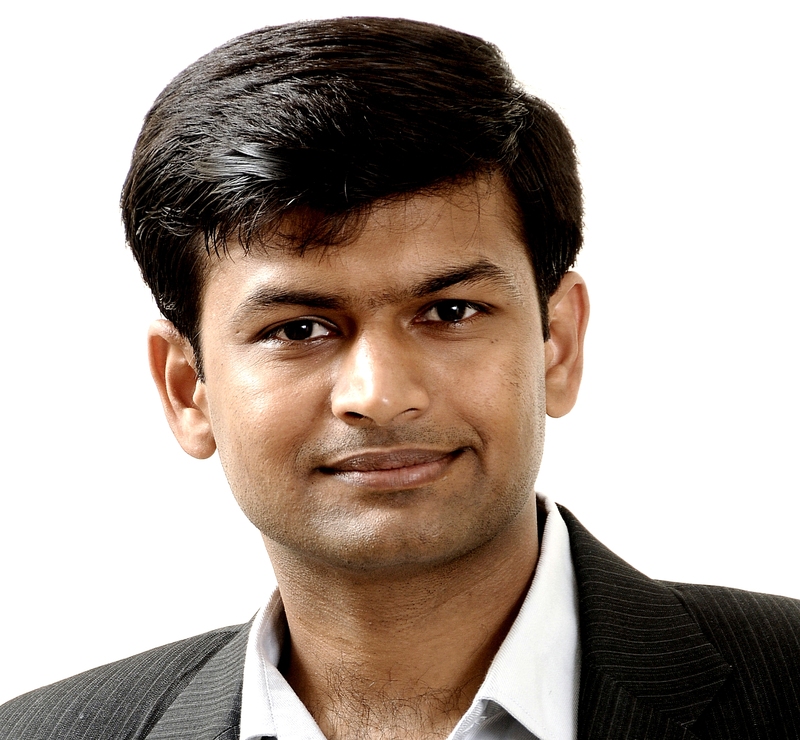 Phani was ranked no# 3 among India’s Most Promising Entrepreneurs by Business World. He has been chosen as a Global Shaper 2011 of the World Economic Forum. 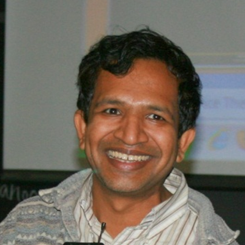 Phani graduated with distinction from BITS-Pilani and worked with Texas Instruments, Bangalore before he co-founded redBus. Could you tell us a bit about your background and your motivation for starting redBus.in? After graduating from BITS Pilani in 2002, I joined Texas Instruments in Bangalore to work in chip design. I was an incidental entrepreneur. About five years into my job, I was trying to go from Bangalore to Hyderabad for Diwali. While every travel agent claimed that there were available seats on some bus, none of them could book it and kept asking me to try another agent. I ended up not going to Hyderabad. I was intrigued by this experience. I told myself that these available but un-booked seats were a lost opportunity for the customer and the travel agent. As an engineer, building a better system was an obvious solution. In the early days, my plan was to build an open source solution. I liked my job at TI and did not want to leave it. I thought I could do it on a part time basis. I got my housemates also interested in the idea. Since none of us knew software engineering we bought books to read up on databases and .NET. We thought it was a hobby and we could work on it over the weekends. Once we got into it, we could not leave it. After 5 months, we had a basic inventory management system ready. We went to the bus operators and pitched it. We had received some interest from them while building the product, but now they were not at all interested. Fortunately, we got some really valuable advice from our mentors and VC investors at this juncture. They pointed out that neither our software nor we had any credibility in this market and we had to establish that first to generate any demand. So we changed track and focused on building redBus.in, the consumer portal to create interest in our service. We started by getting just two seats from an operator and tried selling it on the site. When that worked, we slowly increased the number of seats and that was how we got our initial traction. Now with customers buying tickets off our site, we went back to the bus operators to sell our inventory system. Deciding to focus on the consumer rather than the bus operator was a critical insight and crucial to our success. What is redBus’ revenue model? Today redBus has three lines of business. BOSS or the Bus Operators Software System is an ERP platform that gives bus operators access to their inventory. redBus.in is the consumer facing travel booking site. And Seat Seller is a workflow system for travel agents. With BOSS, we charge a subscription fee per month while for Seat Seller we levy a transaction fee. For redBus.in, we earn a commission for each ticket booked. There’s a nice network effect between these three, with say for example, more operators using BOSS leading to a larger inventory available for the redBus.in consumer. Interesting, could you tell us how you marketed and grew this service in its early days? Our initial marketing was completely offline. We stood and distributed pamphlets outside technology parks in Bangalore. Interestingly, since we were doing this ourselves, we could therefore answer people’s numerous questions about this service. More crucially, there was also an emotional connection with these people. They connected with us, a group of engineers trying to launch a business and were willing to give us a try. They would go back to their cubicles and talk about redBus to their colleagues. Regarding the bus routes, we initially focused on just a few routes and tried getting 1-2 operators per route. That helped us do some very basic targeting. An interesting observation was the concentration of communities in Bangalore. For example, you will find a lot of Tamilians in HSR and BTM layout and we targeted these areas since we were selling tickets for the Bangalore-Chennai route. India has seen a splurge in the number of startups catering to the online booking of hotels, airlines and buses. In your opinion, why have some of these failed and what has been redBus’s competitive edge? I think the Indian railways booking site (irctc.co.in) established ecommerce in India. Today it is the largest e-commerce site in Asia. Indians became comfortable booking things online and this was a big boon to the Indian e-commerce industry. When I look at other markets in Asia, there is still a fair amount of resistance in booking tickets online. Specifically at redBus, we have always been very cost conscious. We always felt we were more of a travel agent than an e-commerce site. To keep costs down, we compromised on quality in certain areas. We didn’t set up the best call center or use air-conditioning. I think that every business is unique. We’re in the business of selling bus tickets and our costs need to reflect that. Several people doubted our ability to make money in this sector with small transaction amounts but we’ve managed to do that. Today, we’ve also benefited from efficiencies of scale with in our back end systems and call centers. The other factor has been our transparency. In this business, its common once you start making money to go back and ask the operator for higher margins. Everyone does that. We have been different. We wanted to be a platform for bus ticketing. Our pitch to the operator has always been that give us an x% commission and unless the industry moves drastically, we will not charge higher commissions. This has built tremendous comfort and today while some operators even do as much as 80% of their business with us, they are not worried about the concentration risk. They look at us as less of a business and more as an organization that sticks by a set of fair rules and regulation. If we didn’t have that kind of credibility, we wouldn’t have survived. redBus has rapidly scaled up in last couple of years. How have you achieved this and what were some of the operational issues you faced? We are constantly trying to fix customers’ pain points. Customers often find that they’ve not been allotted the same seat they had been promised. And you’ll find that each bus operator has a different seat numbering system. So we added features such as seat layout and seat numbers. The other feature we added was return tickets booking. Whenever I went to Hyderabad, I had to ask my parents to book my return ticket. Return seats are somehow not available or very expensive when booked from Bangalore. We expanded offices wherever there was logical connect in terms of routes and where we were sure we could generate demand. Today, for example, we’re selling tickets for buses plying between Kolkata and Dhaka too. Several operators run buses on the return route and want us to support that as well. So Dhaka, might be our first international office! I would like to mention a final point that every budding e-commerce entrepreneur should leverage. Do a lot of what is called AB testing. There is no scientific way to explain consumer behavior over the internet. Sometimes just changing the color of a button improves that page’s conversion by 10%. The only way to find this is by live empirical testing. The good thing is that the cost of this experimentation over the Internet is very low. You and your co-founders moved from comfortable corporate jobs to starting your own business? How has the transition been? The challenges have been very different. They say as an entrepreneur you have high highs and very low lows. Its very clichéd, but very true. When you face the lows, you often begin to wonder what you are doing here. There are huge tensions every single day. People resign, competitors become aggressive, bus operators need to be managed and you then have the half percent of customers who have unreasonable expectations. It’s a crazy demand on your time as you deal with all these issues. Also as we’ve begun to scale up, the complexity and decision making has become tougher. We have also been a very unusual set of co-founders with very little complementary skills. We couldn’t have been more alike. We went to the same university; we are engineers that lived together. However, I now realize that the level of trust that we enjoy has been way more important than any complementary skills. There have been huge stresses as we’ve built this business. Having this level of comfort and trust has been wonderful. Where does redBus go from here and where do you see it in the next 3-5 years? What are some of the initiatives that you are currently working on? We currently do about Rs. 350 – 400 crore (US$ 70-80 million) in gross bookings. Our target is to do Rs. 1000 crore (US$ 200 million) next year. Currently, we only have 2.5% market share and I know we can achieve a 25% market share in the future. In the next 3-5 years, we are going to be working on making this 10X growth happen. If we can achieve that, we’ll be a billion dollar company and that’ll be absolutely fantastic. Finally, could you share any advice for students at Kellogg that are considering paths in entrepreneurship? Entrepreneurship in India is at its best. As a community, we have become more open to entrepreneurs and there’s an incredible ecosystem that is emerging with supportive VC investors, media and events. No company can be built in isolation. You need policies, board members, investors and employees and all these resources are getting easier to find in India. Let me end by sharing another fact. The Indian domestic market is huge, just Mumbai is almost as big as the entire Malaysian market. This market offers any consumer- focused company access to a tremendous customer base that is hard to find elsewhere.